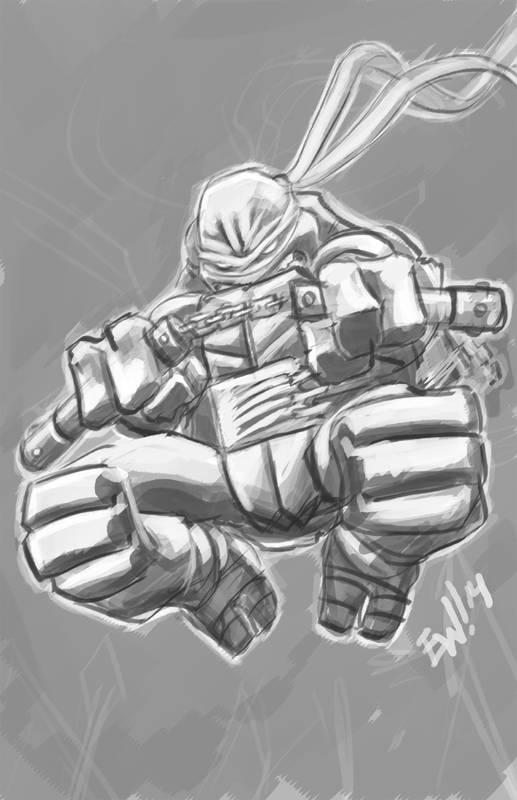 30 min warmup this morning - got some turtle page commissions to work on today so wanted to draw something sorta in the direction to get me warmed up/ primed to draw pages - well as warmups go, this has a lot of problems and i'm not totaly happy with it but feel like its good enough to post/ show. some mikey comin atcha in the design style of the comics i currently working on with the sport wrappings and relaly long bandana and makeshift belt and the shell style i use in my version of the TMNT currently. Alright, on to those pages and other commissions today. Flippin snowin today - what the flip?